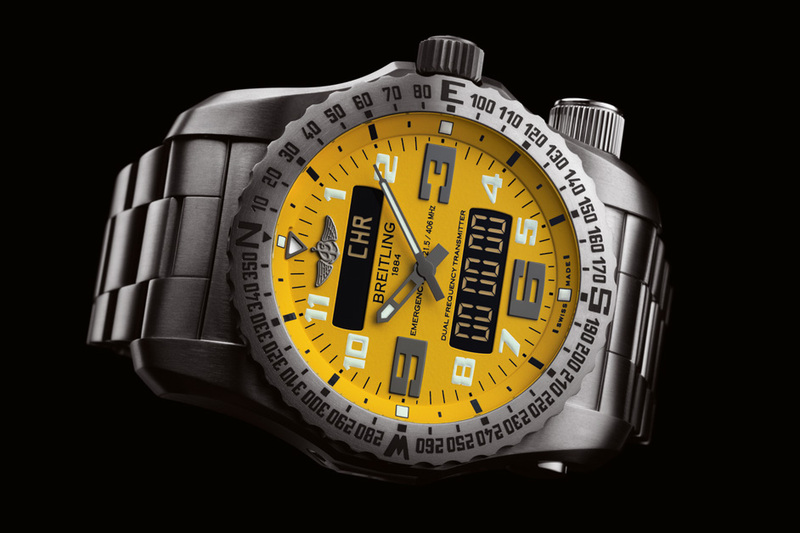 That’s right Breitling has designed a watch for professionals and thrill seeking adventurers (and a few James Bond types), should they encounter an unexpected life threatening situation the Emergency II watch’s dual frequency PLB distress system can be activated and literally map their location anywhere in the world to help guide search and rescue teams render aide. The Breitling Emergency II sets precedence as the first wristwatch to house a dual frequency PLB distress system and establishes it as a personal safety and survival instrument in the air, at sea and on land. Breitling Emergency II is equipped with a microtransmitter that alternately operates on two separate frequencies over a 24 hour period. A digital signal is transmitted first on the 406 megahertz digital frequency activating an emergency alert signal from anyplace in the world via a network of satellites within low altitude of earth’s orbit (LEOSAR) and in geostationary orbit (GEOSAR). This emergency transmission lasts 0.44 seconds and transmits every 50 seconds. A second analog signal is also transmitted on the 121.5 MHz homing and rescue frequency which lasts 0.75 seconds every 2.25 seconds. It took Breitling five years of development to create a miniaturized PLB and several adaptation of it to fit inside a wristwatch and remain capable of transmitting a dual frequency signal. 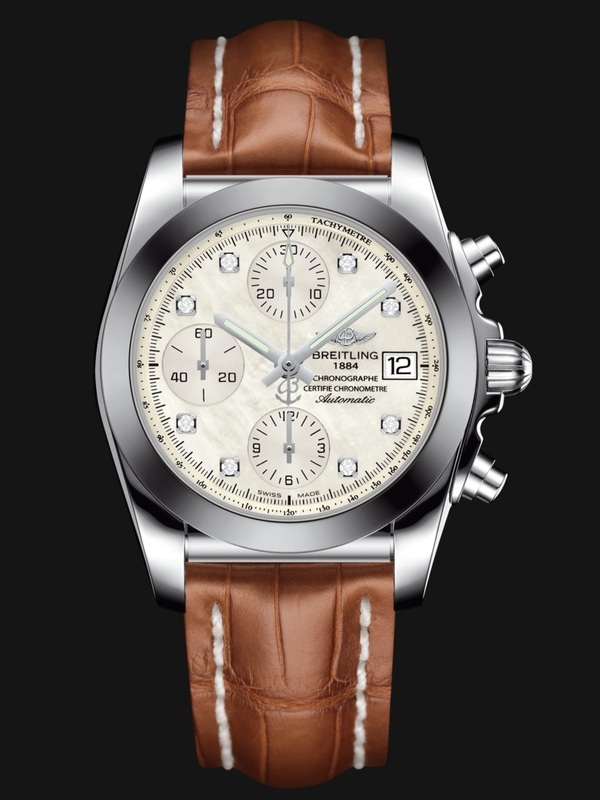 This special effort was achieved through collaborations with an institute specializing in aerospace, defense and industry and engineers that helped create advanced microelectronics and microtechnical engineered circuits exclusively dedicated to the watch’s ability to transmit two separate frequencies while being housed in the compact compartment of a wristwatch as well as be compliant with COSPAS-SARSAT specifications. 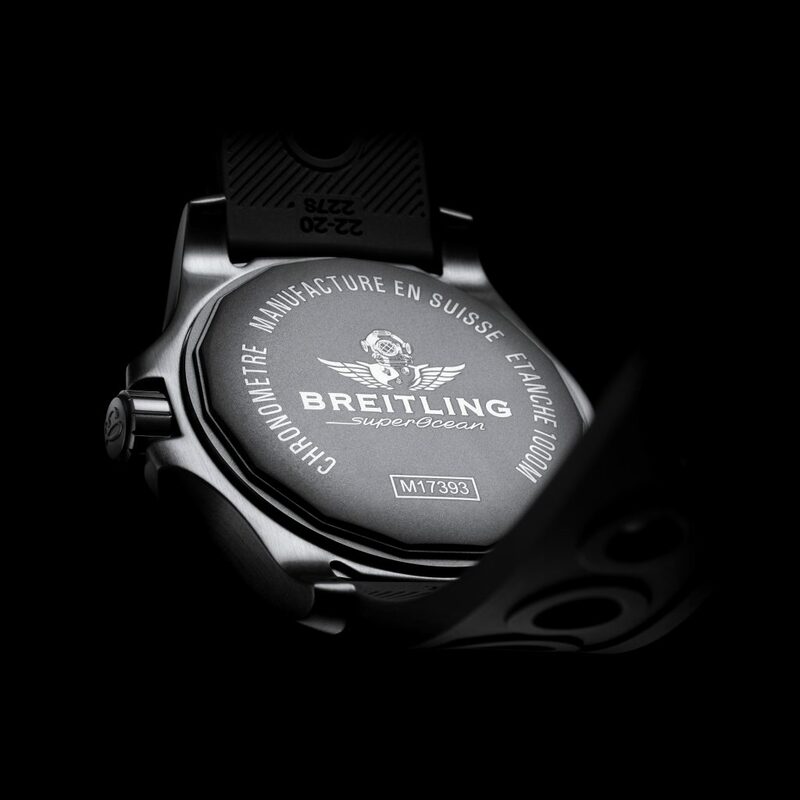 It was indeed a great collaborative undertaking for the Breitling team whom worked vigilantly to maintain the overall integrity of the watch’s complications as well. 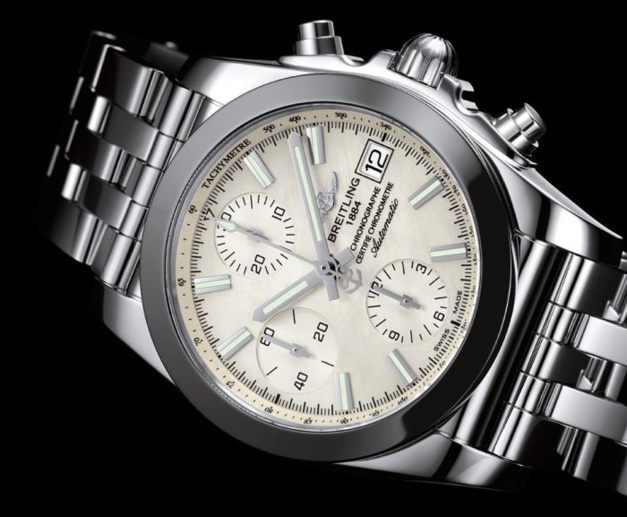 Breitling Emergency II features a 51mm titanium case with a satin-brushed bidirectional rotating bezel. 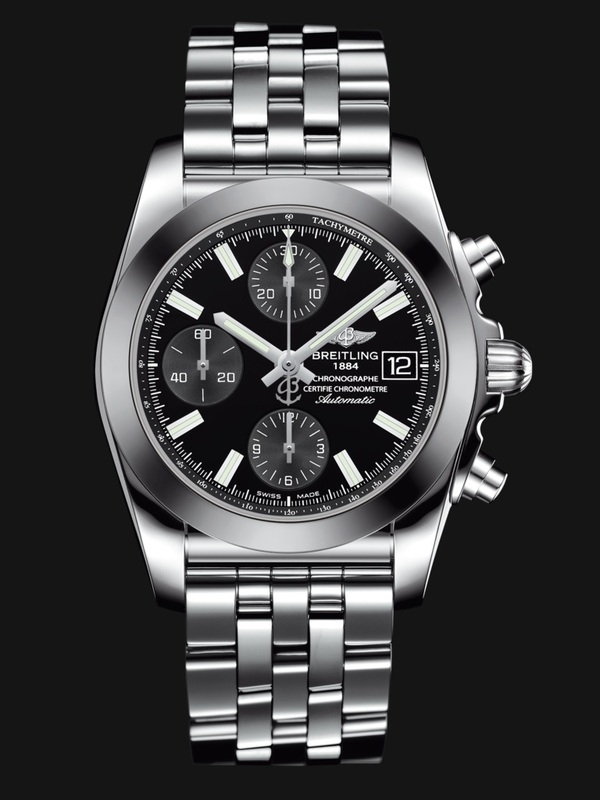 It has a chronometer-certified by the COS that is a multifunction chronograph: 12/24 hour analog and digital display, 1/100th second chronograph. Functions include an alarm, timer, second time-zone, multilingual calendar and battery end-of-life indication. 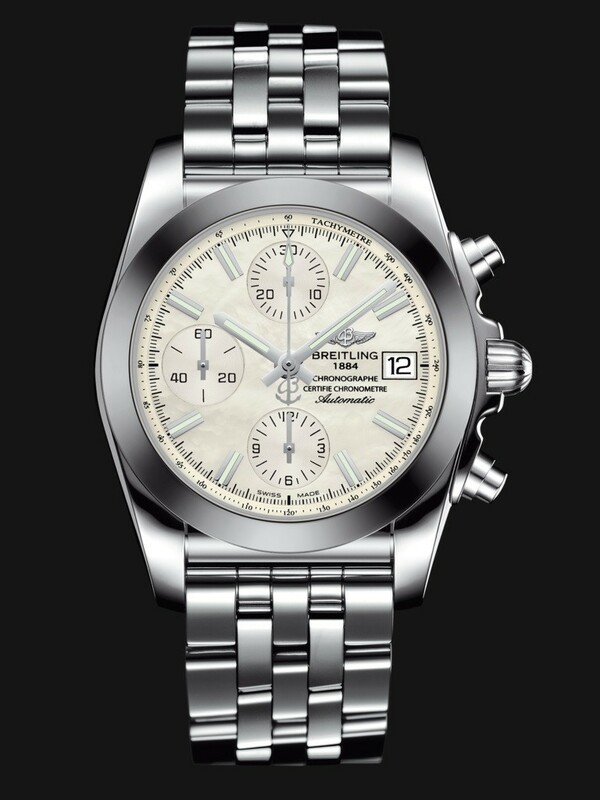 It is equipped with a thermo-compensated SuperQuartz™ movement, which is 10 times more accurate than standard quartz movement. 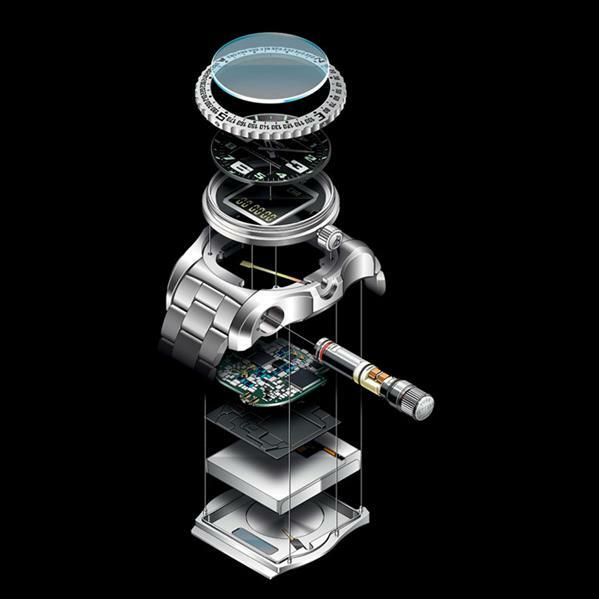 The watch components is protected by a Cambered sapphire crystal which is water resistant up to 5 ATMs. 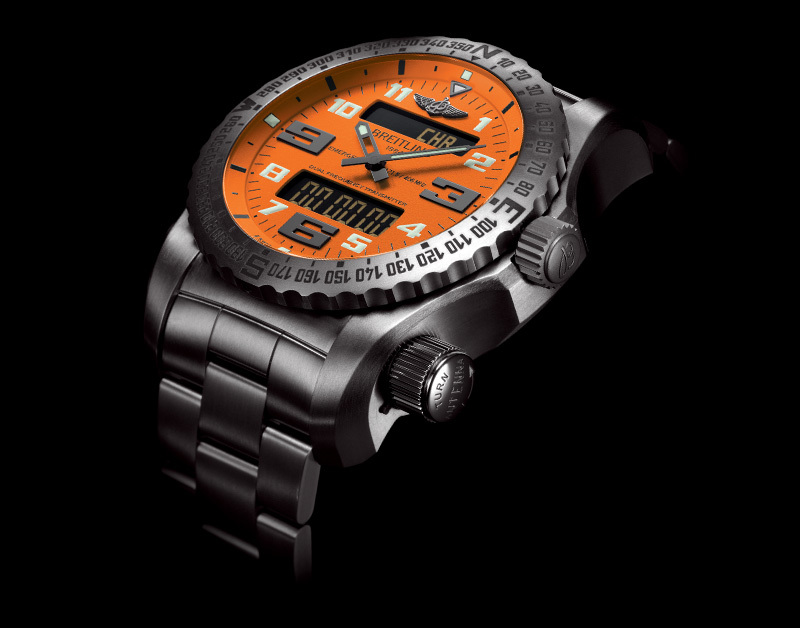 Emergency II is available in three dial colors: Volcano black, Cobra yellow and Intrepid orange. 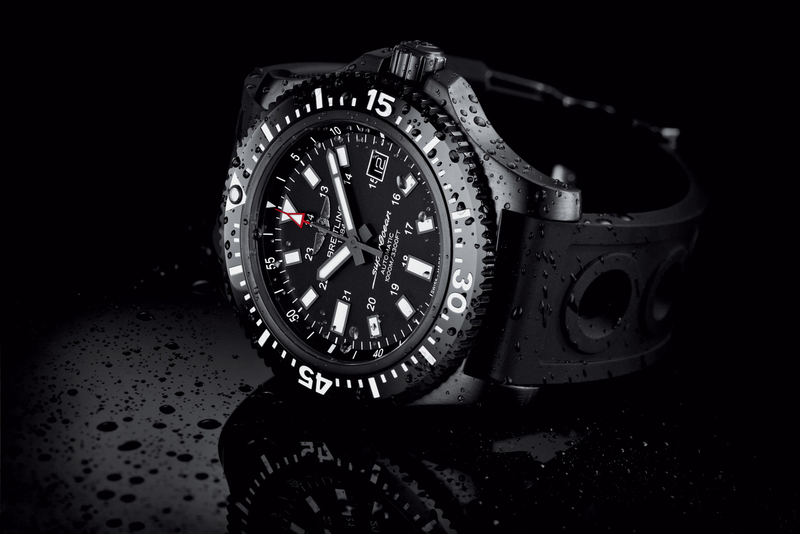 It is available in a rubber Diver Pro III strap or a titanium bracelet. 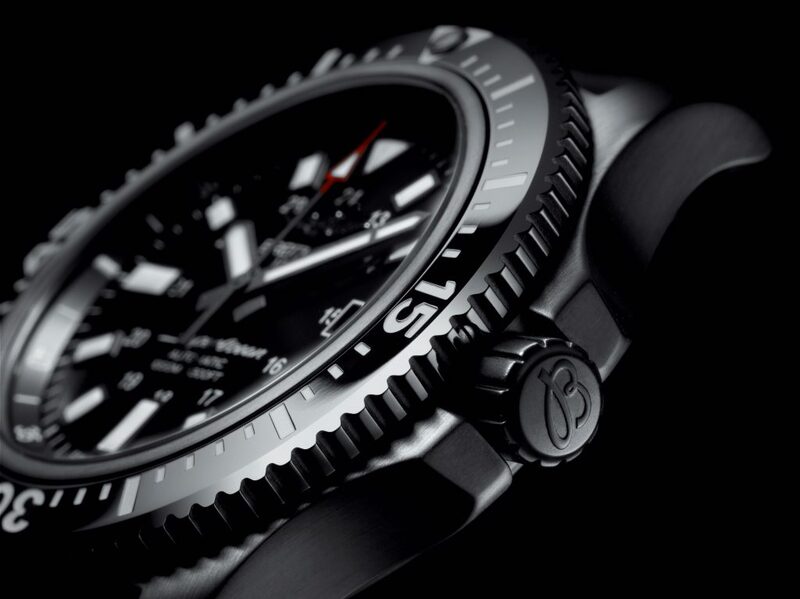 For detailed information about Breitling Emergency II check out Breitling’s website. Who knew that dragons also migrate for the winter? The Breitling Wingwalkers, Breitling Jet Team and Jetman are headed to Asia this winter—to Zhuhai, China, in fact. 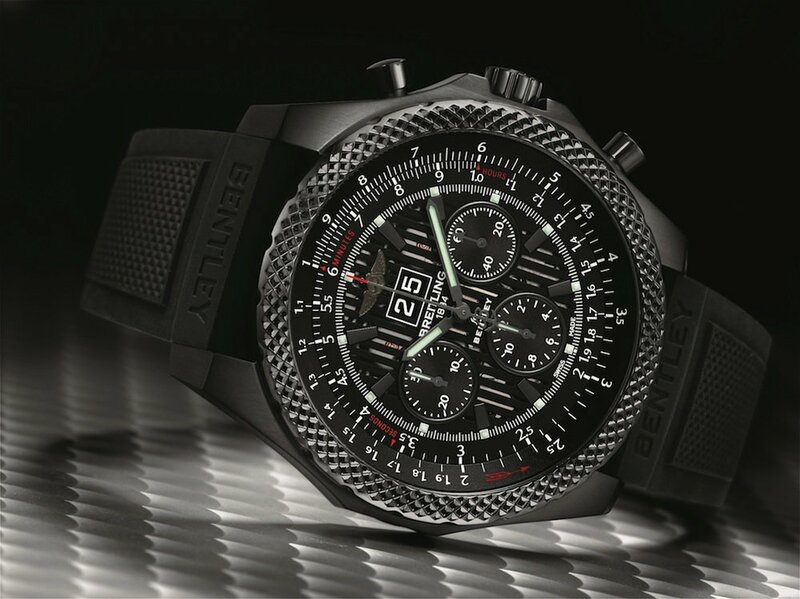 The watch brand made a name for itself crafting watches that went above and beyond for pilots, and now they’re going to show the world their dedication to the world of aviation during the Airshow China 2012 event. The Breitling Jet Team has been active since 2003 and is the largest civilian aerobatic display team based out of Europe. Known for their tight maneuvers and formations, the team is also among one of the most engaged air teams in the world. The Breitling Wingwalkers are a completely different sort of aeronautical entertainment. Whereas the Breitling Jet Team focuses on the acrobatics of the planes themselves, the Wingwalkers focus on human acrobatics on the wings—hence their name. The team performs loops and rolls, even handstands at speeds of 150 mph! As for the famous Jetman, you may recognize the name Yves Rossy. Dubbed the “Jetman” for his rocketeer pack, Rossy has flown over the Grand Canyon, the Rio Grande, and even alongside the Breitling Wingwalkers and Breitling Jet Team! A Swiss pilot and inventor, Rossy has modified jet engines to accommodate his frame and is the first person to fly using a jetpack. His adjustments to the device have allowed him to remain in flight for 20 minutes at a time—a huge accomplishment! 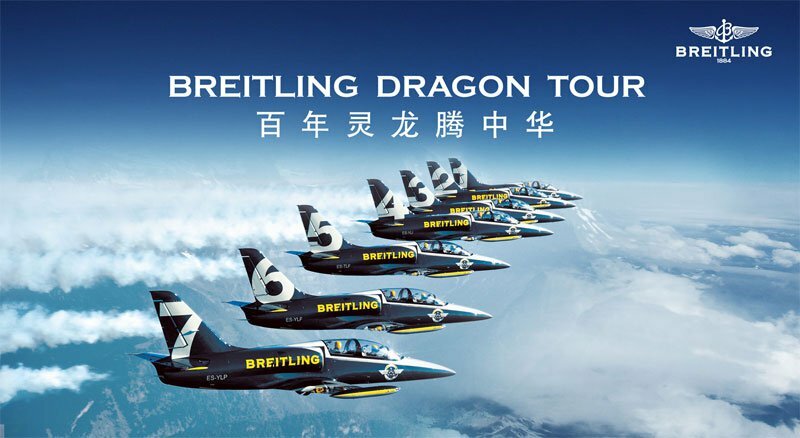 All three Breitling air groups will participate in the Airshow China events, and plan to remain in Asia for the remainder of 2013. While the Wingwalkers’ aircraft and supplies is being shipped to Zhuhai, a city in the Guangdong province, the Breitling Jet Team has had to fly their jets over Europe, through Russia and into China on their own. The trip proved no hardship for the experience pilots and the jets landed safely on October 17.